Succession Planning Q&A – Part 1 of 5, with guest contributor Howard Weiss, US Trust. This is the first in a series of question and answer sessions focused on succession planning between Western Landowners Alliance and Howard Weiss of US Trust. If you have additional questions around succession planning that you would like to see answered in an upcoming session, please contact me. When should a succession plan be put in place? Who should be involved? Most people will say the sooner the better while many others will tell you that succession planning is an on-going process. It is on-going in the sense that it entails a range of interrelated economic, legal, tax and family issues, all of which may change over the years. Succession itself has two component parts: management and wealth transfer. Succession planning has to be done early so as to be ready in the event of an immediate need, usually caused by the death or disability of the owner or operator. Divorce could also be an event with immediate consequences, with the worst being the forced sale of a ranch or business when neither a pre-nuptial agreement nor a clear succession plan have been put in place. 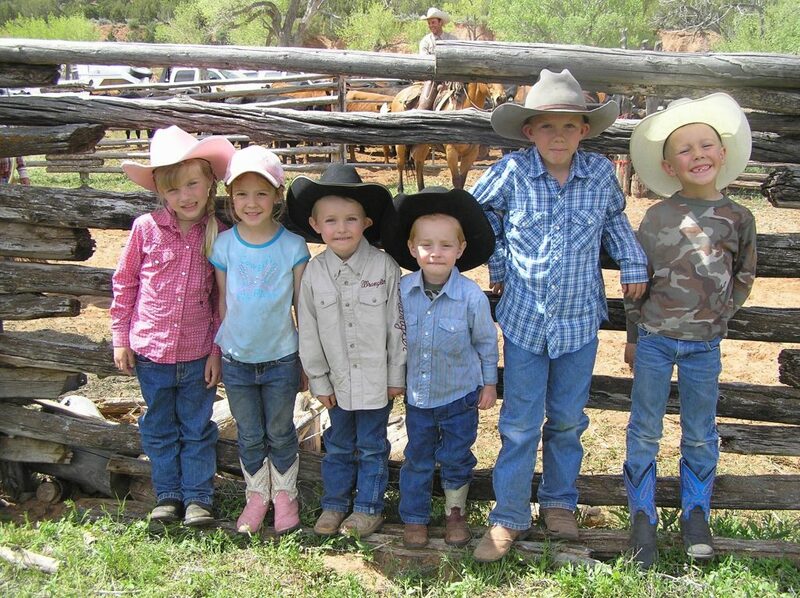 The challenge is especially acute for a ranching or farming family in which the children are young and not in a position to take over immediately. In such cases, one is fortunate if an employee can readily step in, at least until a family member is prepared to assume management if that is what they wish to do. Having said all of this, if you and the family have the luxury of time, you can plan for succession over an extended period. If a family member is selected to take over, you should ideally make this determination during their college years so that they can take advantage of educational opportunities to learn current best practices and techniques. This also gives them the time to develop contacts with others who wish to go into the agricultural business. At that age, they have adequate time to learn business and financial management, and develop leadership skills. On the other hand, should a senior employee be selected, that person would ideally be positioned as the owner approached age 60 or so, even though they could have been identified and groomed earlier. Leaving the professionals aside for the moment, there are two constituencies that should be brought into the process. First and foremost, the extended family and all siblings need to be included. Regardless of the specific succession plan you put in place, you want to obtain some degree of buy-in from the family. This is important regardless of whether or not members of the next generation work in the family business or have ownership, since they would likely be inheriting other non-business or ranch assets. Succession really involves how the family’s total wealth will be passed down. The other important group to include is your employees, particularly a ranch manager and foreman. Should you choose a family member to be the successor, you will want the transition to be smooth, without disruptive turnover. Who do I go to for assistance in setting up a succession plan? Banker? Accountant? Attorney? You will undoubtedly engage all of the above for help in setting up your succession plan. Your estate attorney will play a critical role as your primary advisor and guide through the legal transfer of the business or ranch. They will draw up the necessary documents for your estate plan, including wills, trusts, powers of attorney, health-care directives, etc., and, together with your CPA or accountant, will also advise you on the best ownership structure for your family. Your CPA or accountant may also be engaged to prepare a valuation of the business or ranch, so as to facilitate the distribution of non-business assets among the heirs. Insurance is frequently needed to fund the wealth transfer process, so having your insurance agent at the table could be important, as well. Your banker will likely be needed should any part of the transition require financing; whether or not this is the case, it is always important to advise and consult with your banker on the succession plan. You will want to ensure no disruption in the financing of your enterprise. If your banker also manages your investments, consider seeking input on funding your lifestyle should you retire. Accordingly, putting in place an adequate retirement plan and managing those assets well are also critical components of the succession planning process. Finally, if conflicts develop among family members, you may need to engage a family business consultant to guide the family through those challenging issues. What are the basic components of a business succession plan as it may apply to an operating farm or ranch or a family real estate company/partnership? We are distinguishing here between these types of entities and a formal operating company. Vision for the Business Before deciding upon a successor and a succession plan, you should take a step back and formulate a vision for the ranch or business. This plan might incorporate ideas for future development and expansion. Sometimes there are generational differences of opinion in the direction a business should take, so it is always good to debate these to the extent you can. Also, the plan could specify the degree to which you are willing to incur debt to expand. Alternatively, your vision may also incorporate a willingness to sell the business or property at some future time. You might articulate the circumstances under which you envision the family selling the business. Choosing the Successor This is the critical decision. Do you prefer to have a son or daughter take over managing the ranch if they are interested and qualified? Would you have more than one of your children operate a ranch? If they are not qualified, do you have a capable senior employee who can assume that leadership? Alternatively, you may need to go outside the business to find your successor. As for family members, they can also be groomed to be the overseers for the enterprise. It is just as important to be a good director as it is to be an effective hands-on operator. Preparing the Successor Assuming the succession plan is not implemented immediately due to an unexpected event or crisis, consider charting a program to prepare the selected candidate. Owners frequently have preferred methods, including having the person work alongside them for a period of time. Others prefer to have the chosen successor gain experience working for another, non-family owned ranch or even an unrelated business, particularly if it is a family member. Family Employment Policies Regardless of whether or not the successor is family, it is a good idea to have some form of family employment policy so as to mitigate potential conflicts. Such policies would cover internships, full and part-time workers, in-laws, compensation and retirement. Organization’s Legal Structure As the business or ranch is transferred to the next generations, examine the entity’s legal structure to ensure it can facilitate both the transfer of ownership as well as meeting overall estate planning objectives for the family. For example, if the ranch is not in a limited liability corporation (LLC), should it be as it is transferred among several families in the future? Valuation For many reasons, you will need to arrange for a valuation of the business, farm or ranch. Estate Plan Succession and estate planning, while very different disciplines, need to be performed concurrently. Intertwined among who will operate the ranch or business is how the rest of the siblings will share in the family wealth, both within and outside of the business. Moreover, you want the farm or ranch to be transferred in a tax efficient way. Another key aspect you will want to consider is whether a ranch or farm will be transferred exclusively to those who will be operating it, or whether it will be collectively owned by the entire family. If owned collectively, will those not working in the business have equal or minority shareholder interests? If owned collectively, will you make provisions for income distributions and buyout of individual interests? Retirement Plan Of similar importance, you as the current owner will want to ensure you can live a comfortable retirement before giving up your livelihood. Your cash flow can take different forms including income distributions or even a longer-term installment sale of your ownership. Timing and Decision Process A sensitive step in some transitions is the moment when the owner officially turns over the reins to his or her successor. What role, if any, will the prior operator then play? For example, the parents may leave the daily operations to their successor, but retain input into any critical decisions, such as borrowing funds for a significant expansion or purchase. Careers of Non-Operating Siblings Where a farm or ranch will be managed by some, but not all, of the children, it becomes important for the parents to have plans for how to support the education and career preparation of the others. This is usually important for the sake of family harmony, which helps ensure successful succession planning. What is unique to a succession plan for an agricultural operation? The principles of good succession planning are generally the same for any business enterprise. However, there is a unique aspect when handling an agricultural operation. Many operating businesses are valued on a formula derived from revenues, profits or cash flow. The value of land and equipment, while substantial in many cases, is not necessarily the main component of the business enterprise’s value. For an agricultural operation, many will acknowledge that the real value is in the land and not just the crops and cattle. Of course, the land’s value is somewhat derived from the prices of those assets. As such, farmers and ranchers can reap big profits when they sell the land. As a result, estate planning and liquidity management become critical, especially when launching into succession planning for an agricultural operation. The sibling(s) who becomes the successor to run the ranch may be inheriting the illiquid part of the estate, but could stand to realize the biggest payout should he or she later sell it. This sometimes encourages non-operating heirs to want to retain some minority ownership interest. What have you observed as best practices? What shortcomings have you seen? Where a family member is the successor, there has been a comprehensive preparation plan spanning several years. Sometimes, as mentioned earlier, the person might work somewhere else or even start a different career. Even so, they always stay close to what is happening in the farm or ranch business. There is a willingness to select and groom a non-family member when there is no qualified family candidate. Where an external candidate is selected, the family puts in place a family member or group to oversee the operation. The founder/owner lets go at the right time. It is fine to offer counsel along the way, but not always good to micro-manage after the time has passed to have the successor take over. Likewise, where the farm or ranch has been managed by a non-family manager, the family decides when a clean break should occur between the old and new manager. The right ownership structure is in place for the family. One structure does not fit all family ranch and farm operations. Key issues are the percentage ownerships, dividend distributions and redemption policies. The failure to convey when it might be the right decision to sell the farm or ranch. Sometimes it should be after the second generation, while in other cases, it can go on for many generations. Frequently, that time approaches when there is no one in an upcoming generation who has an interest in either running the operation or overseeing it in some form of governance. Subsequent generations do not always have the same ideas for the future of the ranch or farm. For example, the younger generation may want to expand and build up the agriculture business, while the parents are too risk averse to take on debt. This can cause the younger family member to lose interest and possibly seek a career elsewhere. Owners and managers do not let go when it is time. This is common in many situations, not only in agricultural operations. It can be disruptive to a smooth succession. It is fine for parents or managers to provide continued guidance to the younger successor, but there is a right time to step away from the daily operations. We frequently hear about the need for strong family governance. What type of entities would a land-owning family establish to govern their enterprise and financial affairs? Board of Directors Frequently, this is reserved for larger entities and will include professional advisers and non-family, independent directors. Board of Advisers This is a looser organization than a legal board. Nevertheless, it would frequently include independent members in addition to family. Many families will invite independent members with farm and ranch management expertise. They also often include lawyers and CPAs who advise agriculture operators. Family Council This is not really a formal legal entity. Families with large numbers spanning several generations will sometimes adopt this approach if the ownership is widespread. The family council provides a forum for family members to have their voices heard. Trust This may be a dominant owner of the enterprise. Nowadays, families will establish a trustee committee to oversee the trustees and the affairs of the business. They sometimes serve in the role of trust protector, with the ability to modify some terms of the trust and change trustees. Once family governance structure has been determined, how long can one expect it to take to set this up? Is there a lot of paperwork? Overall, this should not take very long, but will depend upon the type of entity you establish. Establishing a formal legal board will require paperwork and state filings. There are also some organizational routines that need to be put into place and formal meetings usually have to occur. The individual states regulate board of director protocols. A board of advisers and a family council are largely organizational so it is just a means of populating them. Establishing their specific roles and charters could take a little time. Putting in place a trust committee will also require thought as to its role, but if you set up a trust protector structure, the terms of the trust would require modification. That may take some time. Again, the states have their own rules around governing entities, so one should consult their attorney before proceeding. Howard Weiss is a Senior Vice President and Family Office Practice Expert at US Trust, specializing in the family office and private foundation markets. He advises clients on how to establish and run family offices and also provides strategic advice to wealthy families in the areas of investment policy, wealth transfer, business succession planning, philanthropic management and family governance. In the area of private foundations, he assists clients with governance, investment policies and grant making. He is a member of the board of directors of the Morris Goldseker Foundation of Maryland and the Mary and Daniel Loughran Foundation in Washington, DC. Weiss has published two books on wealth management: The Philanthropic Executive – Establishing a Charitable Plan for Individuals and Businesses and; The 100-Year Wealth Management Plan. Weiss holds an MBA from the Wharton School of the University of Pennsylvania and a Bachelor of Science degree from the Ohio State University. He is also a Certified Financial Planner and holds a Master of Science Degree in Financial Planning from the College for Financial Planning.